A recent study by Johns Hopkins University School of Medicine examined the underlying reasons for ever-growing healthcare costs in the United States. The study approached this issue from the standpoint of the following question: are medical malpractice lawsuits, and subsequent judgments or settlements, responsible for expensive American healthcare? The answer: no, at least not directly. The study found that medical malpractice payouts of over $1 million (so-called “catastrophic claims”) only account for $1.4 billion every year of healthcare expenditures by medical providers (costs that are, in turn, passed onto patients). This is less than 1% of the total amount of money spent on healthcare per year. Instead, costs are coming from doctors ordering procedures and tests that are unnecessary. As it happens, there are situations in which $1 million payouts are more likely than others. For example, when a child under the age of 1 is harmed, when a patient suffers from quadriplegia or brain damage, and when the patient suffers injury from an anesthesia-related mistake. But aside of these, ultra-high payouts are rare. Of the $27 billion in claims paid out over the last seven years, only 7.9% of that amount was due to a catastrophic claim (a total of $9.8 billion). And while improving patient health and medical outcomes is, of course, paramount, the costs of healthcare are prohibitive for many. As a result, when a doctor orders an unnecessary test for a patient, those costs are spread out over the general population, making medical care more expensive overall. In order to reduce costs, this is the area that will need to see the most change. 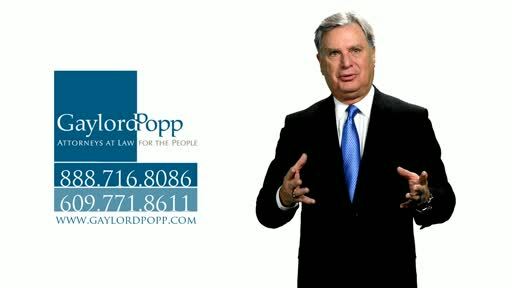 For more legal information and news, visit Gaylord Popp, LLC’s library of legal tips and facts.